Bed bugs have unfortunately become a fairly common problem in the US and in some places, they are getting out of control. Where do they come from? Well, that’s hard to say. They’ve basically been around since we’ve been around. Every once in a while we find a way to almost wipe them out then some years later they come back with a vengeance. Right now we’re in one of their thriving periods but hopefully this won’t last long. 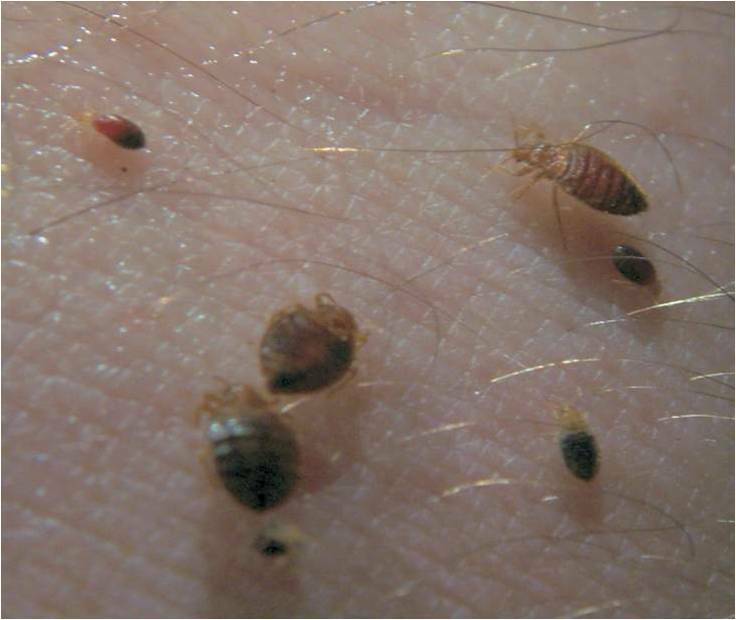 Bed bugs prefer areas where a lot of people are densely packed together. Apartments that have too many occupants and college dorms have been hit pretty hard lately. Since we’re their food source, naturally they’ll be highest in population where we are. There are plenty of ways to keep them at bay so let’s examine some. The best way to prevent bed bugs from entering your home at all is to check out that used stuff you’re buying at yard sales and garage sales. This is one of the main ways these critters get around. If you really need that used couch or mattress, quarantine it in your garage after a thorough on the spot inspection. You can see bugs fairly easily in the sunlight and you can even give mattresses a good kick to see if anything gets disturbed or falls out. This applies to couches and chairs as well. Examine them better than anything you’ve ever checked out. Look in nooks, crannies and rips in materials to see if anything is hiding in there. Are you moving to a new place? If it’s furnished, REALLY take your time inspecting the bedroom and furniture. If it’s a motel for temporary stay, you should just pull the mattress off and check it top to bottom and front to back. Examine all sheets, pillowcases and whatever the mattress rests on. Some places it’s a frame, other places it’s something else. Unfurnished apartments and houses should be pretty clean and you can get a good feel for the place by the general maintenance levels of it. No matter your situations looking into cheap traps and repellents is always a good idea just in case. It’s always better to be over prepared than underprepared when it comes to bed bugs. Little plastic bug traps that you set under your bed or on bed frame legs are extremely cheap and while not 100% effective, are better than nothing. Repellents can be little sprays or plastic containers that contain chemicals or oils that bugs can’t tolerate. Use both for maximum effectiveness. Always know when things are simply out of your league. It’s always better to consult a pro than do something yourself if you’re not absolutely sure you know what you’re doing. It might not even be much of a problem and a professional could take care of it cheaper than you could anyway. If you know it’s a bad infestation, set up a spraying schedule and they’ll be gone in no time.